Are you using Live Chat option on your business website? If yes, then you should continue to read this article. You‘ll surely get some important factors about top 5 Live chat tools /solutions. Having a live Chat option on your business website means a new method for getting sales leads or customers that could improve the efficiency of your business. If we go a few years back, customer’s queries were generated via forms- clients would fill up the forms with their details, submit it and wait for someone to contact them. But, Live Chat revamps this entire boring process of solving queries of customer’s or new sales leads. The main feature of these programs is the ability to monitor customer behavior; with this feature, you can learn how to modify your business as per their needs. There are various Live Chat Solutions are available in the market. Some Live Chat solutions can be expansive, so it’s very important to do the good amount of research before buying any paid subscription of any Live Chat solution. Almost all these services provide the free trial so that you can determine easily whether that solution is perfect for your business or not. 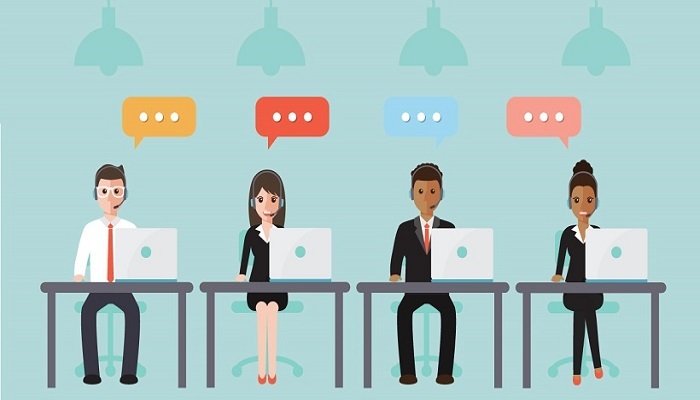 Below are the top 5 Live Chat Solutions for small businesses that you can try it for your website and figure out what best for your Business. Olark comes with a wide range of features to help small business owners to increase the efficiency of their business. The major feature of this tool is the user can customize the Live Chat window as per their business theme or niche. We can also analyze the customer’s behavior and answers. The biggest advantage of this tool it can be integrated with third-party platforms. If your business is running on platforms like – Shopify, WordPress and Salesforce. Olark integrates with them so that you can extend data and analytics across other platforms. Olark plans start from $17 per user per month. LiveHelpNow provides a wide range of live chat solutions for small businesses. Business owners can choose any plan and customize it as per their services/business niche. LiveHelpNow offers chat support, an email ticketing system, and call management capabilities. With the help of chat support, you can interact with your customers and learn more about them and their behavior about your services/products. The ticketing system easily integrates with chat and offers customer management. So many other features are available in the call management system and custom FAQ’s builder. Prices vary as per the solution you will include in your bundle. But, price start from $21 per user per month for each bundle. LiveChat’s solution for small businesses offers a way for users to review your customer service so you can ensure you’re meeting everyone’s needs. It allows widget customization and can even color-code customers’ circles to denote priority. In addition to standard live chat solution tech, LiveChat lets customers grade the overall service after the chat. They can also share their chats on social media so your company can receive positive exposure for good customer service. LiveChat integrates with other platforms like Dropbox, FreshBooks, and GoDaddy. LiveChat plans start at $16 per user per month. Pure Chat is completely a free live chat solution for small businesses. It also offers a diverse range of custom features that include unlimited chats, mobile response, integration with several platforms and canned response. Business owners can easily customize the chat window as per their business niche and review complete transcripts. Pure chat can integrate with other platforms, like Google Analytics, so it can be added to a workflow easily. As it is a free tool, Pure Chat provides small businesses with a lot of live chat resources. WhosOn provides several live chat solutions, like a custom chat window, analyzing and tracking customers behavior, that makes it a better option for Small business owners. Apart from full Live chat solution, WhosOn provides chat survey to gather important information about your customers. With this information, you can easily learn more about your customers, what they need and how you can provide the perfect support for your services. WhosOn is a great tool for tracking the customer’s complete website journey from start to finish. What separates WhosOn from other chat services is its ability to track the user through their site experience. WhosOn plans start at $33 per user per month.